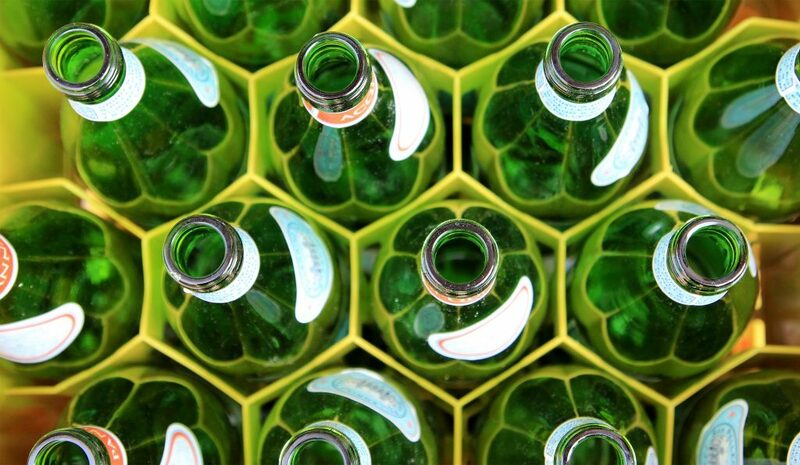 The glass recycling problem: Why is glass no longer being accepted for recycling in many markets? Glass is infinitely recyclable without loss in quality. Recycling glass has many proven environmental benefits–it reduces emissions, saves energy, and reduces consumption of raw materials. And as a common household item, recycling the material maintains much public support. In fact, 93% of residents and consumers expect to be able to recycle glass, reports the Glass Recycling Coalition. So why is glass no longer being accepted for recycling in many markets? The reasons are varied. Here’s a breakdown of the issue, and what businesses and municipalities can do to address the problem, and potentially reduce their waste disposal costs. In a single stream recycling system, glass is increasingly becoming the contaminant. Broken glass can contaminate other recyclables like paper and cardboard, lowering their value. Since the China import ban, recyclers are increasingly focused on quality and reducing contamination to maintain the value of their recyclable materials. Broken glass is not only a safety hazard to workers, but it can also damage machines at recycling facilities. As a result, glass is increasing processing costs. Glass is heavy and expensive to transport. Faced with high costs, some communities are paying to have the glass specially crushed for use in construction. And while this is certainly a use for glass, it is not necessary the best use. Mandatory glass recycling programs in the 1980s flooded the market with recyclable glass, causing prices to drop. Over the past two decades, glass has also been replaced by aluminum and plastic for some products, leading to less demand. Purchase less glass, especially for single-use items, and reuse when possible. Seek alternatives. For restaurants and beverage retailers, the proliferation of the craft beer industry means more on draft and in cans (and fewer glass bottles). Aluminum bottles have also become very popular among beer consumers in recent years. Wine is still difficult, because there are fewer options for wine on draft and in cans, but that is expected to change. Look for manufacturer/retail take-back programs that won’t leave your business holding the bag on glass. Note: Drinking glasses, glass objects, and window glass cannot be placed with recyclable glass because they have different chemical properties and melt at different temperatures than the recyclable bottles and containers. Broken drinking glass goes into the trash stream. This entry was posted in All and tagged glass. Bookmark the permalink.